Do you have more information on hydrogeology of Guinea Bissau? Please get in touch. Present-day Guinea Bissau was part of the the ancient Mali empire from the 13th to 17th centuries, and later part of the Gabu (or Kaabu) kingdom from the 16th to 19th centuries. From the 15th century, the coast became a focus of slave trading by Portuguese merchants, and the coast and inland areas were fully colonised by the Portuguese in the 19th century. An armed rebellion against colonial rule from the 1950s led to independence in 1974 as a republic. Independence fighters in Guinea Bissau were allied to an extent with those from another Portuguese colony, Cape Verde, although the two countries never unified. Since independence, Guinea Bissau has experienced ongoing political instability. Initially, government was highly centralised, with multi-party governance established in 1991. However, since independence no president has successfully served a full five-year term, and there has been a succession of military coups. Guinea Bissau adopted the CFA currency in 1997. There is some potential for mineral exploitation and possibly offshore hydrocarbon exploitation, but their development has been impeded by political instability and armed conflict. The economy remains dominated by agriculture and fishing, with cashew nuts and groundnuts the most important export crops. GDP and HDI (human development index) are some of the lowest world-wide. Illegal drug trafficking is significant, with the country used as a transit point for drugs between South America and Europe. A tropical country with high but seasonal rainfall, Guinea Bissau has relatively abundant seasonal surface water resources, but dry season water supplies are largely sourced from groundwater. Guinea Bissau's territory includes the Bijagos archipelago, made up of more than 30 offshore islands. Most of the country is flat and low lying, with a maximum elevation of 40 m, and many areas of wetlands, including coastal mangrove swamps. The exception is the flat topped Boé Colline hills in the southeast, which reach 300 m elevation. Guinea Bissau has a wet tropical climate, with a wet season typically from April to October and a dry season from November to March. The eastern part of the country has lower rainfall, and the western coastal zone has higher rainfall. 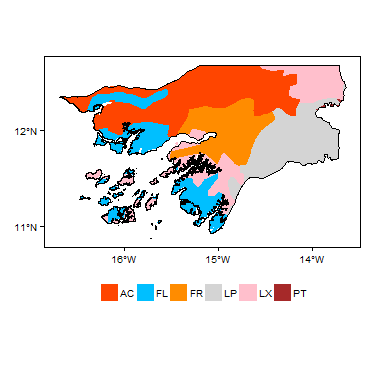 More information on average rainfall and temperature for each of the climate zones in Guinea Bissau can be seen at the Guinea Bissau climate page. The larger rivers in Guinea Bissau include the Corubal and the Geba rivers, which rise in neighbouring Senegal or Guinea. Smaller coastal rivers include the Cacheu, Mansoa, Geba-Corubal, Grande de Buba, Tombali, Cumbidja and Cacine rivers. Much of Guinea Bissau was originally dominated by wooded savannah and forest, but there has been widespread clearance of forest and woodland in recent decades, for local or exportable timber use or for cultivation. The geology map below shows a simplified version of the geology of Guinea Bissau at 1:5 million scale (see the Geology resources page for more details). A more detailed geology map of Guinea Bissau is available to view and interrogate online at the Visualizador de Mapas geoPortal (published 2014). This map was created by the Uidade de Informacao Geocientifica of the Portugese National Laboratory of Energy and Geology (LNEG). This report provides more information on the Geology of Guinea Bissau (Geologia da Guiné-Bissau) (Alves 2010). Geology of Guinea Bissau at 1:5 million scale. 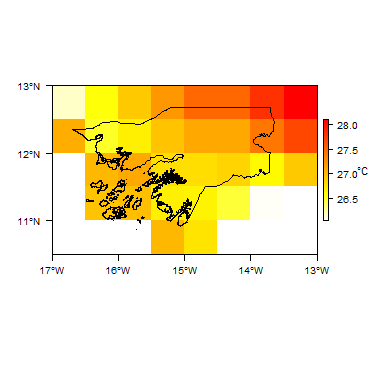 Based on map described by Persits et al. 2002/Furon and Lombard 1964. For more information on the map development and datasets see the geology resource page. a western zone with mainly late Mesozoic to Cenozoic sediments. The Cretaceous to Cenozoic sediments are mainly of marine origin (University of Guelph). There is a buried sequence of earlier Mesozoic sedimentary rocks thought to rest on the Palaeozoic sequence, which is the equivalent of the 'intercalated continental' series known in Senegal. These do not crop out at the surface in Guinea Bissau, and so are not shown on the geology map. Little is known of these rocks in Guinea Bissau, as they are buried at depths of over 800 m (UN 1988). They are thought to include schists with some sandstone and limestone intercalations in the northeast, and a dominantly continental series of schists with intercalations of fine sandstone in the centre of the country. This series is 120 m thick at Safim and 330 m thick at S. Domingos (UN 1988). Quaternary Coastal sediments, including beach sands; river and coastal alluvium. Including sands, silts, and clays. These often overlie similar lagoonal-coastal Oligocene-Miocene sediments (see below). Maastrichtian, Palaeocene-Eocene, Oligocene, Miocene A sequence of largely marine, coastal or lagoonal sedimentary rocks, including limestones, marls, clays, silts, sands and phosphates. The Oligocene-Miocene 'continental terminal' series comprises Oligocene lagoonal fine grained, clayey sandstones at the base, overlain by Miocene marine limestone-marls that are sometimes sandy (UN 1988). The Palaeocene-Eocene sequence is dominantly marine, formed of sandy marl-limestone formations with dolomitic intercalations (UN 1988). The Middle and Upper Cretaceous series is very thick (1360 m at S. Domingos and 600 m at Safim). The base of the sequence consists of schists with some limestone-dolomitic intercalations, overlain by dark shales with some sand, and terminating at the top in a thick sandstone layer of Maastrichtian (top Cretaceous) age (UN 1988). This top sandstone is up to 490 m thick in the northwest (S. Domingos) and 540 m in the west (Cangongue) (UN 1988). Little is known of the igneous rocks in Guinea-Bissau. Devonian Shales and sandstones over a large area in the east of the country, forming a northwest/southeast syncline. The base of the series consists of the sandstones of Lower Devonian age in the Cusselinta-Saltinho area, which are mostly well consolidated micaceous and feldspathic sandstones. Overlying this is the Upper Devonian Bafata Group, comprising argillaceous schists with intercalactions of fine grained quartz sandstone. Silurian Rocks of the Buba Group, including sandstones with some organic rich/carbonaceous black shales. Drilling in the southeast of the country showed very compact black, carbonaceous schists with fine grained sandstone intercalations, and some doloritic layers. In the northeast, schists interbedded with dolerite were seen, with varying indications of metamorphism, and fine grained, clay-rich sandstones at the top at the transition to the overlying Devonian rocks. Cambrian-Ordovician Sandstones, shales, conglomerates and rare limestones. These are found in the northeast of the country, overlying older Neoproterozoic metamorphic rocks. Cambrian rocks are dominated by fine grained sandstones and shales, including shales of Pirada and Canquelifa, schist-sandstones of Cantari, and the younger Caium sandstones of Upper Cambrian age. Ordovician rocks are dominated by the Gabu sandstone series, which is thought to be mostly steeply dipping at up to 50 degrees. At its base is a white, coarse grained sandstone unit up to 170 m thick, overlain by less compact, sandier strata of considerable thickness, and then by a fine grained sandstone unit that is 10-30 m thick (UN 1988). Neoproterozoic A volcanic and metasedimentary complex, including schists, quartzites and metavolcanic rocks. There are few outcrops of these rocks, as they generally lie below fairly thick younger geological formations. The hydrogeology map below shows a simplified version of the type and productivity of the main aquifers at a national scale (see the hydrogeology map resource page for more details). More information on the hydrogeology of Guinea Bissau is in the report United Nations (1988) (see References section, below). There is relatively little information on hydrogeology and groundwater potential of the aquifers in Guinea Bissau. The UN report of 1988 describes information from some groundwater reconnaissance projects before 1988. In the eastern part of the country, the Basement and Palaeozoic Sedimentary (Fracture flow) rocks typically have low permeability and form small and discontinuous aquifers, which are controlled by the distribution, nature and degree of fracturing and weathering. Boreholes must be sited and drilled with great care to locate them in the most productive zones. In general, although rainfall is high, evapotranspiration is also high, which may limit the amount of recharge available to aquifers, particularly in the eastern zone. Runoff recharge to the Mesozoic aquifers from adjacent higher ground of the Palaeozoic zones is thought to be significant (UN 1988), although much of the groundwater abstracted from the deeper Mesozoic aquifers may be of fossil origin (UN 1988). Tertiary (Miocene) to Quaternary Coastal/marine silty or clayey sands, with small banks of Miocene limestone, and laterite. Found over most of the central and western regions. These are usually unconfined, providing low storage and low borehole yields, although yields can vary from place to place and from season to season (UN 1988). Yields are directly linked to rainfall and evapotranspiration. Tertiary (Palaeocene-Eocene-Oligocene) These marine sands, sandstones, and limestones form an important aquifer, which is buried below ~175-200 m, depending on the area. There are no major low permeability beds in the sequence, and so the whole unit behaves as a single aquifer, which is confirmed by groundwater levels (piezometry) and groundwater chemistry. The sands and sandstones are likely to be dominated by intergranular flow, and the limestones by fracture flow. The aquifer has been explored by a number of deep boreholes for groundwater reconnaissance and exploitation (UN 1988). The upper surface of the aquifer was proved at depths of ~180 m at S. Domingos and Cagongue, where it is between 275 m and 315 m thick. The aquifer is typically confined, with deeper piezometric levels than the underlying Maastrichtian aquifer, indicating that there is no hydraulic connection between the two. However, there are different water levels in the sand-sandstone and the limestone formations. The aquifer typically has low to moderate yields. Only the uppermost sand-sandstone Oligocene formations, if they are thick enough, have relatively uniform permeability and provide high storage capacity and yields. The lower limestone series have more variable permeability, both vertically and laterally. However, the very wide lateral extent of the aquifer gives it high potential overall. 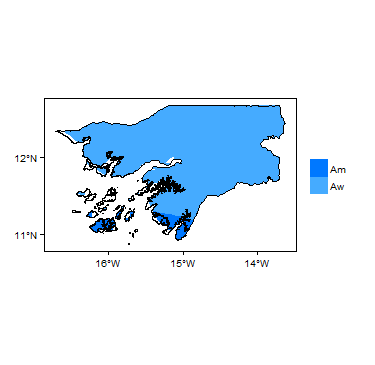 The highest mineral content (1000 ppm) is seen in the northwest coastal zone. Sulphate concentrations and hardness are higher than in the Maastrichtian aquifer (UN 1988). Cretaceous The main Cretaceous aquifer is the thick sandstone bed of Maastrichtian age, at the top of the Cretaceous sequence, which is an aquifer of major importance in Guinea Bissau. It has been explored and exploited most intensively and at shallowest depths close to its outcrop zone in central and southern regions, and by a number of deeper boreholes 200-260 m deep on the island of Bissau and at Farim (UN 1988). The aquifer productivity declines in the direction of the Silurian rocks, because they become shallower and change from poorly consolidated sand to a more compact, well consolidated sandstone that has lower permeability (UN 1988). Permeability of 0.1 m/d in clay-rich sandstones in the extreme south of the aquifer, with low specific yields of 0.2 to 0.3 l/sec/m. Permeability of 10 m/d in fine to coarse grained sands in the centre-south of the aquifer (Buba-Empada-Catio). Permeability of 1 m/d to the north of this area, where there are layers of clay and fine sand in the aquifer sequence. Very high yields have been recorded of 15-25 l/s, and rarely up to 40 l/s (UN 1988). The aquifer is largely confined, except at rare points where it crops out. Artesian heads occur across much of the centre and west of the country, but not in the southern part of the coastal zone. 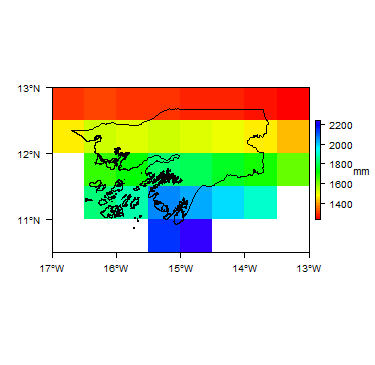 Artesian heads at Farim and Mansoa were measured at +6m and +7m. Close to the sea and estuaries, groundwater heads are affected by tides. The main direction of groundwater flow appears to be towards the northwest and west (UN 1988). The groundwater is mainly of bicarbonate and calcium sulphate type, with relatively low sulphate and relatively soft. In the centre of the country it tends to have a low mineral content (<500 ppm) but up to 1500 ppm in the south (Bolama) (UN 1988). 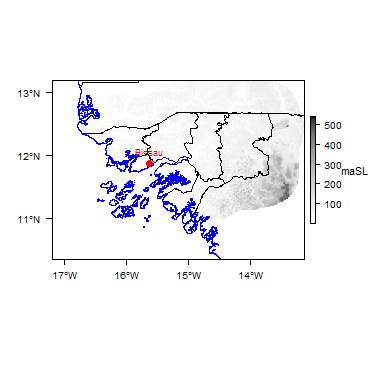 Occasional instances of saline intrusion were identified, such as as Bedanda (4000 ppm of chlorides) (UN 1988). Devonian Drilling into these rocks at shallow depths to about 20 m in the Nhabijocs plain (Bombadinca) showed them to be well consolidated with low permeability and to form a poor aquifer. Silurian The Buba Group has been explored by drilling water boreholes in a number of places at Buba, Guilege, Gadamael and Sangonha in the northeast and southeast of the country. The dominantly fine grained, sometimes clay-rich sandstones, black carbonaceous shales and intercalations of dolerite, sometimes metamorphosed, all have low permeability and formed very poor aquifers. Cambro-Ordovician The Cambrian rocks, dominated by fine grained, well consolidated sandstones and shales, generally form very poor aquifers. Small local aquifers can be found in shallow weathered zones, and particularly in sandstones, which typically have slightly higher permeability. Little is known of the groundwater potential of the Ordovician sandstones, although drilling in the Canjadude region showed the sandstone to be compacted, with low permeability, and unproductive. Precambrian (Neoproterozoic) Crystalline basement rocks have virtually no intergranular porosity and permeability, and groundwater flow and storage is entirely dependent on the nature and degree of weathering and/or fracturing of the rock. A typical pattern in basement rocks is 'pockets' of weathering forming weathered basins, typically a few tens of metres deep and a few tens or hundreds metres across, in which there is enhanced permeability and groundwater storage potential. Typically, these kind of weathered basins have enough permeability and groundwater storage capacity to supply a borehole hand pump supply. Groundwater is the main source of rural water supply in the dry season, for drinking water and small scale (garden) irrigation. Traditional small scale irrigation typically uses groundwater from shallow, hand dug wells. Groundwater is not used much for large scale commercial irrigation, although in at least one area - Granja de Pessub - drilled boreholes up to 300 m deep are used for irrigation (Aquastat). the Ministry of Agriculture, Forestry, Hunting and Livestock, through the Directorate of Rural Engineering Services (DSER), which deals with the developments use and management of water for agricultural use. the Council Interministerial for Water Resources (CIMA) and the Water Technical Committee, which exist to harmonise water management activities between different sectors and to drive water policies. At a local level, the operation of water infrastructure is largely managed by the beneficiaries themselves through associations or management committees, in collaboration with the DSER, extension services, NGOs and other relevant authorities. Groundwater policy falls under the Water Code, 1992, which establishes the general regime for the management, use and conservation of water resources, and determines the institutional framework. It recognises that water is a public good whose development and management must be planned. Use rights are granted by the State, taking into account the productivity of water, the respect of pre-existing rights and the protection of the environment. The State is responsible for the conservation and protection of the water environment both qualitatively and quantitatively. Customary water law is enforced and respected at the local level by rural people. There is a national database to store groundwater data, including borehole drilling logs, groundwater levels and groundwater chemistry. Selected information from this database is available online through an MWater portal. In 2018, there were 4300 registered boreholes in the database, but thhere are varying amounts of data for each borehole. For example, only 20% of these had borehole logs available, and those logs that are available are not standardised and not always complete. However, work is ongoing to improve the amount and quality of groundwater information in this database, between government agencies, UNICEF, drilling companies and researchers from Milano Bicocca and Padova universities in Italy. References with more information on the geology and hydrogeology of Guinea Bissau can be accessed through the Africa Groundwater Literature Archive. Fussi F, Asplund F, Fumagalli L, Caruba M, Rotiroti M and Bonomi T. 2017. Characterization of shallow aquifer in Guinea Bissau to support the promotion of manual drilling at country level. Presentation at 44th IAH Congress, 25-29 Sept 2017. University of Guelph. Rocks for Crops. WES. Guinea Bissau: Country Profile. Water, Environment and Sanitation (WES), UNICEF. United Nations. 1988. Groundwater in North and West Africa: Guinea-Bissau. United Nations Department of Technical Cooperation for Development and Economic Commission for Africa.